Successfully Added Teclast Tbook 10 S Tablet PC - Win 10 + Android 5.1 OS, Intel Atmo Z8350 CPU, 4GB RAM, 64GB Memory, 10.1 Inch IPS Screen to your Shopping Cart. The Teclast Tbook 10 S is dual boot tablet PC powered by Intel's Atom Z8350 CPU and pack a substantial 4GB of RAM. This 2 in 1 device is designed to be primarily used as a handheld tablet but with the ability to add a physical keyboard (sold separately) it can be turned into a very competent laptop. With its metal chassis, this 10 inch tablet Pc feels very sturdy while the beveled edges show a nice attention to detail. On closer inspection, you can see the tablet has dual speakers which come into their own when watching movies and playing games. Additionally, there is Mini HDMI, Micro USB, 3.5mm headphone jack and dedicated DC power port so you can be charging the device and still connect to a USB memory pen or another device. This tablet runs on two of the most the most widely used operating systems, Android 5.1 Lollipop and Windows 10 so you have great support for games, files, and apps of all types. The magnetic suction port along with Teclast keyboard accessory (sold separately ) will bring you laptop functionality and turns this tablet into you portable office. There is also a stylus pen accessory (sold separately) which is great for drawing and design. A 10.1 inch screen hit a nice balance between portability and functionality and with 1920x1200 resolutions movies and games will be displayed in full DH quality. The tablet has 64GB of storage which even with dual operating systems should be plenty but the presences of a micro sd card slot let you add an extra 128GB of storage should you need. With its 6000mAh battery, there is plenty of usage time from every charge and more than enough to see you through a day or keep you entertained on those long journeys. . 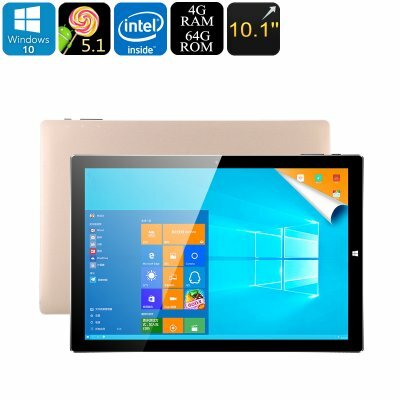 The Teclast Tbook 10 S is a cheap tablet PC considering what you get for your money and well worth the modest price tag. It also comes with a 12 months warranty, brought to you by the leader in electronic devices as well as wholesale tablet PCs..
As a wholesaler, we provide no software support, advice, or training regarding the Windows operating system and software. Any attempts to modify the default OS will void the warranty. I ordered this tablet to consider for reselling. I was so impressed that I am using it as my daily work tablet. It is top quality, and very fast. I especially like being able to switch between Android and Microsoft Operating Systems on same tablet. I wish it had Operating System 6.0 or 7.1.